Baltimore city is home to almost 4,600 acres of parkland, three stream valleys, and miles of bike and natural surface trail. We have over 25 miles of waterfront, two public boat launches, dozens of crabbing and fishing piers, and one of the largest urban wilderness areas on the east coast. With so many natural resources, BCRP continues to develop and expand outdoor and nature recreational opportunities. Outdoor Recreation opportunities in Baltimore include camping, canoeing, kayaking, boating, sailing, hiking, biking, trail and trail running, fishing and crabbing, birding, wildlife viewing, horseback riding, rollerblading, disc golf, kiting, climbing, sledding, cross-country skiing, challenge courses, mountain boarding and more! 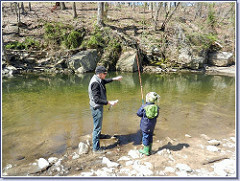 These activities are healthy lifelong leisure activities that can be pursued at any age and foster a sense of connection to nature. 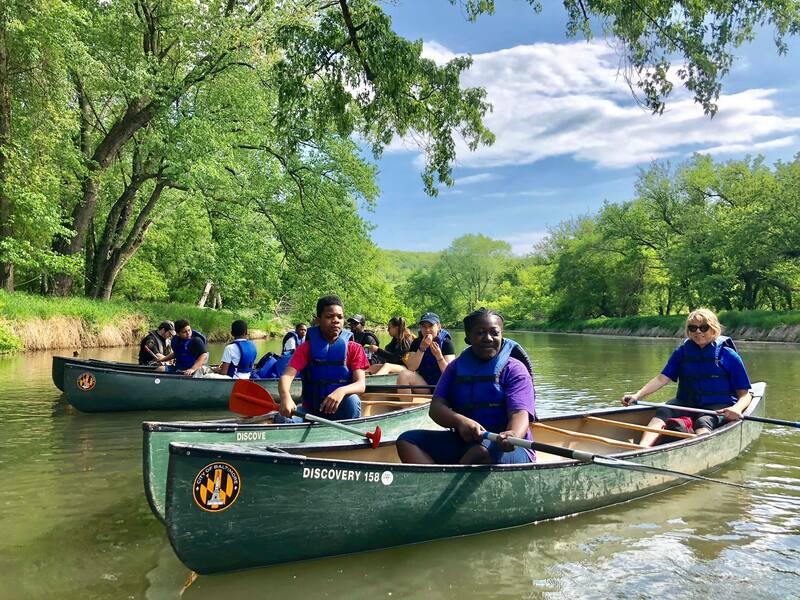 With the natural infrastructure of Baltimore, these activities provide social, personal, economic and environmental benefits for all enthusiasts. Register for ALL of our programming here! Pedal around Lake Montebello on the 1.3 mile paved track, a current government issue Id is required. This is an easy self-paced ride. First come, First Served. Guided Rides @ Druid Hill Park Ride is held at The Market while the reservoir is under construction. Wednesdays May-September Ride times at 5:15 and 7:15 p.m. Various times and locations. Year Round! Join us for the “Great American Campout”! Carrie Murray Nature Center, Gwynns Falls Leakin Park, Herring Run Park, Patterson Park and Wyman Park Dell are where camp outs are hosted. Space is limited. RSVP is REQUIRED. Please check the BCRP calendar for details. 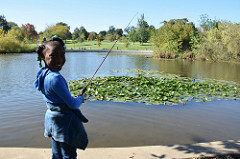 For organized Fishing Programs located in Baltimore City please visit https://baltimorecityrecandparks.org or call 410-396-7900. Saturdays, April–Oct., 9 a.m.-12 p.m.
Fridays, April–May, 6-8 p.m. & Aug.–Sept., June – July, 7-9 p.m.
$2 general admission, $5 to bring your own boat. Sundays, April–Oct., 9 a.m.-12 p.m. & 1-4 p.m.
Be sure to check out the other free Waterfront Wellness classes including Yoga, Parkour, and Zumba every Saturday and Sunday morning between 8AM and 10AM at West Shore Park! All classes are led by industry professionals and are suitable for all skill levels. New classes, nutrition programs, meal makeovers, and other “wellness” activities will be added throughout the season. For more information, class times, and to register visit www.WaterfrontPartnership.org (External Link). For Baltimore City Schools through grant funds. 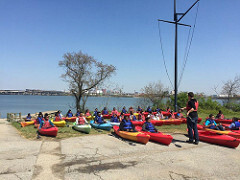 Check out the video of the Kids in Kayak program from Baltimore City Schools' Student Media team here. Park Friends— What would we do without our fantastic Friends Groups there are over 78 Groups in Baltimore City who organize and host park clean up days, movie nights, farmers markets, concerts, movies and more. Visit our MeetUp group (http://www.meetup.com/Baltimore-Parks-Meetup/) to view all Park Friends events in one calendar. Outdoor Recreation loves our Supporters! The annual bicycle tour “Tour dem Parks, Hon!” is committed to the promotion and enjoyment of urban cycling and the parks of Baltimore. Tour dem Parks is run by volunteers and is a 501(c)(3) nonprofit organization. The annual recreational ride has something for everyone, and is fun for riders of all abilities. We provide information and support for urban cycling to both experienced and novice. All profits from the ride are donated to groups who promote cycling, the parks, and the environment. Baltimore Floatilla- A rally for clean water! Outdoor Recreation knows we can’t do it alone! Equestrian—we are working with several agencies and organizations to bring back the ability to have horses in our parks. Please e-mail Molly Gallant if you are interested in this developmental stage. Climbing—we have sites that are in need of cleaning, and organizations and clubs that would be willing to adopt these sites. Please contact us if you would like to learn more. Please e-mail Molly Gallant if you are interested in this developmental stage. 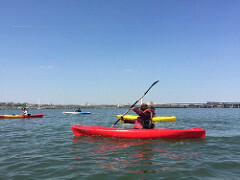 Baltimore City Outdoor Recreation in the News: CHECK US OUT!